Can't believe I haven't posted in so long. 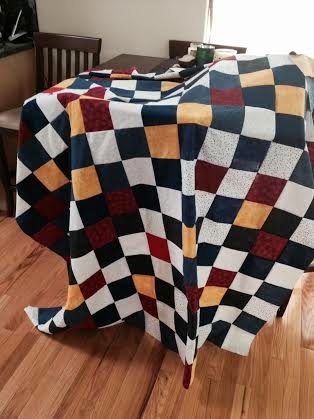 I have been busy making quilts for soldiers. Our SW MO National Guard has an engineering Company in Afghanistan right now - due back sometime before the new year. Our library quilting group is making each soldier a quilt - about 70 tops done so far. I personally have sewn at least 10 - Some I made all the blocks, some I made half the blocks (others donated), some I just sewed together blocks. Bless. Your. Heart. It's beautiful and so are you.